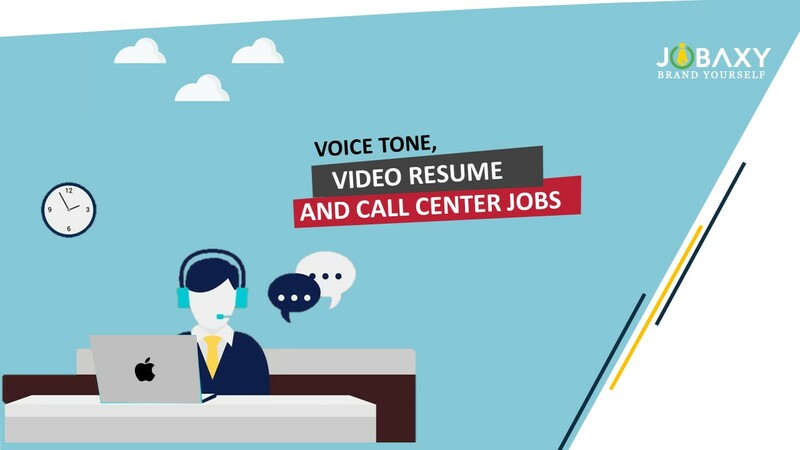 Voice tone, Video Resume and Call Center Jobs | Jobaxy - Brand Yourself ! The Philippines is a newly industrialized nation. In the recent years, Philippines enjoys the tag of being one of the top outsourcing destinations in the world and Philippines has seen a steady increase in the number of call centers. If we speak of job vacancy in the Philippines then BPO jobs take a significant share in the job market. Call center jobs currently are the most lucrative and sought after jobs. The call center jobs are more than just glamorized answering. The skills required to land these jobs in the Philippines are primarily knowledge of English language, command over spoken English, communication skills, analytical skills, a basic understanding of computers, flexibility, ability to sustain the pressure, willingness to work hard, self-motivation and most importantly a clear and a friendly voice. As mentioned, communication skills play a significant role in the customer service industry. You are the first voice that the customer will associate with the product or the service, and hence you need to sound impressive. Pleasant and soothing voice thus forms the base for being a successful call center agent. What if you can highlight your voice quality on your resume and impress the employer just by the first look at it. Is it possible? Yes, it is, with the help of new-age video resumes; the latest tool for meeting today’s smarter hiring needs. In the video resume, you can strongly highlight your voice quality and increase your probability to land the dream job. Record your resume meticulously with proper pronunciation, correct punctuations and in a composed and soothing voice. Start from your introduction to your education, skill sets and experience. Be confident, and construct every sentence unambiguously. Avoid using ‘ums’ and phrases like. Avoid using slangs. Impress the interviewer with your clear, friendly and soothing voice tone. A well-designed video resume, help you present your skills and experience in a unique way to the recruiter. The video resume allows you to market yourself most appropriately, in the way you want, even before you are called for an interview. This is less stressful than facing the interview itself so you can be as creative as you can and present yourself. Video resumes are the latest trend and the only job portal that provides such a service is Jobaxy. Jobaxy not only offers audio-video resumes but also help with certain tips and tricks to get video resumes perfect. So if you are looking for a job, your first step to success is registration with Jobaxy. With audio-video resumes we guarantee you job in the Philippines. Register with Jobaxy and let the employer find you.